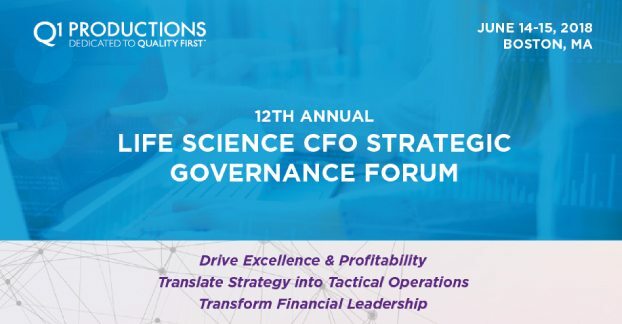 The Q1 Productions Life Science CFO Strategic Governance Forum provides an unrivaled opportunity for knowledge share and peer engagement through the blending of educational presentations and high-level think-tank discussions with experienced Chief Financial Executives. The agenda will include 25 think-tank discussions that participants can rank and prioritize based on individual professional development and business objectives, allowing for a customized agenda that meets immediate strategic goals. Each strategy session is moderated by a leading executive from the field, who provides guidance and structure for the discussion, as well as summarizes key points to be shared post-event.